Our green superfoods powder is designed with you in mind! Our busy lives can make it difficult for us to get the greens and superfoods we need to support our overall health and weight loss. 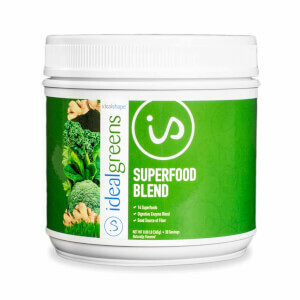 IdealGreens can help you supplement your intake of fruits and vegetables. With 14 different superfoods and only 35 calories a serving you'll be taking advantage of so many benefits, like supporting your weight loss!